Create group and subsidiary financial statements, pillar three qualitative reports, board packs and any other report which combines financial results with commentary. 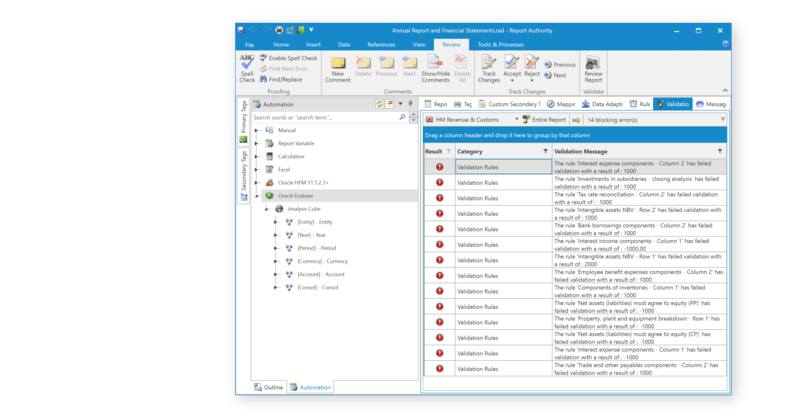 Validate the document by creating rules that are run before creating reporting output. 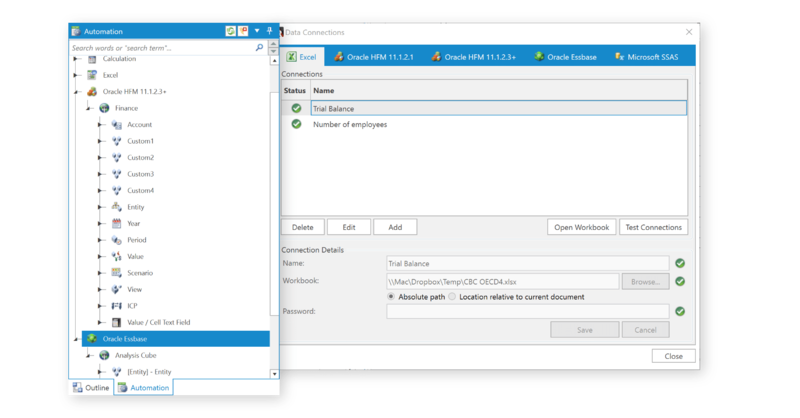 Link objects in the report to data in Microsoft Excel, Oracle Hyperion HFM, Essbase and Planning with a simple drag and drop interface. Create numeric and text calculations and eliminate rounding differences. 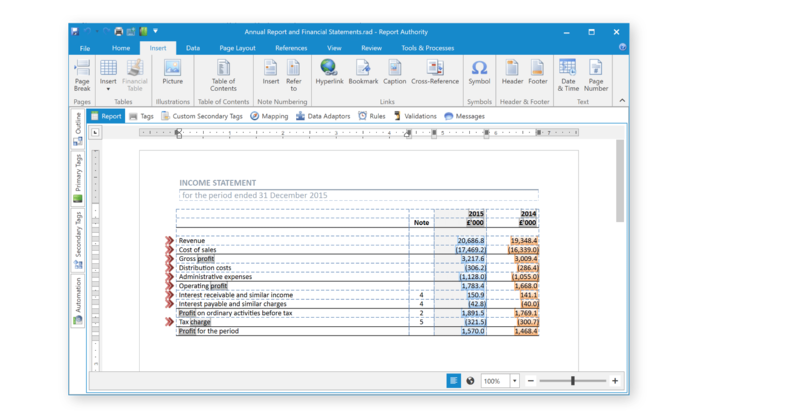 Export the report into a number of formats including Microsoft Word, Rich Text, PDF, XBRL and iXBRL. 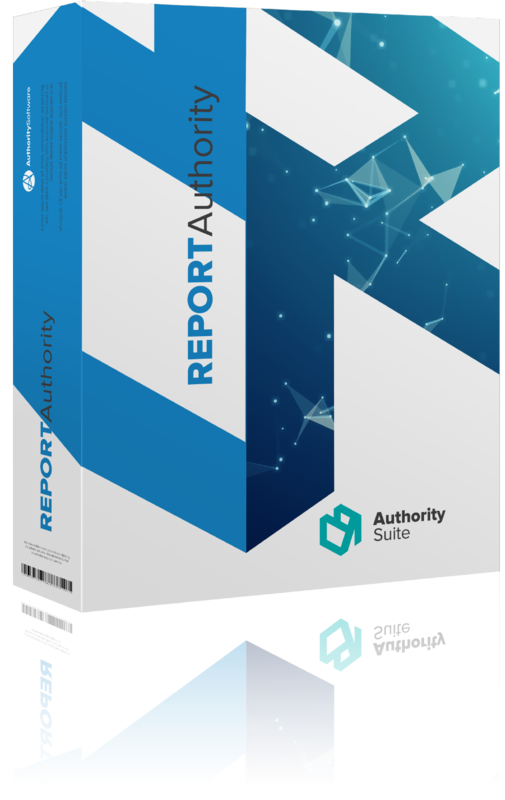 Report Authority is a word processing environment for combining numeric information with textual commentary into free flowing documents. Reports are automated using functionality not typically found in word processors, such as calculations, validations and links to external data sources. Financial word processing made easy. 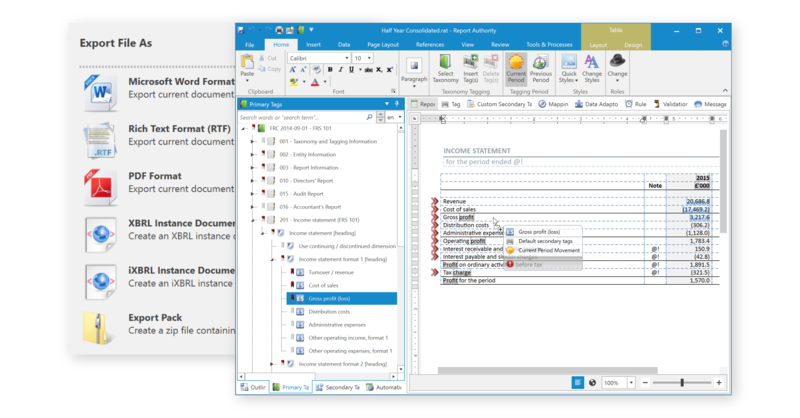 Users can easily create and format documents using word processing features that they will be instantly familiar with. Simplify the collation and navigation of large and complex documents by breaking them down into smaller segments that can be grouped into folders and sub-folders. Links to ORACLE EPM AND MORE. Numbers, words and even entire paragraphs of text can be automated by linking to external data sources, calculated internally or cross referenced to other objects in the report. Be confident on the integrity of the report through the use of simple rules which will be run prior to creating report output. 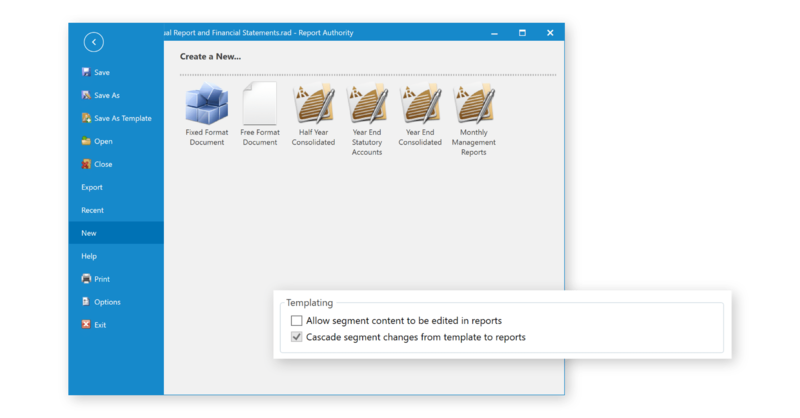 Create and maintain many similar reports through the use of Report Authority’s templating functionality. Controls which content gets updated in each individual report by cascading template changes throughout. XBRL & iXBRL instance documents can be created through the use of Report Authority’s intuitive XBRL tagging functionality. This functionality has been carefully designed and built to minimise any technical burden on the user who may use it only once a year. Creating formatted content and linking content to external data sources. Creating templates to be used as the basis for all reporting entities. 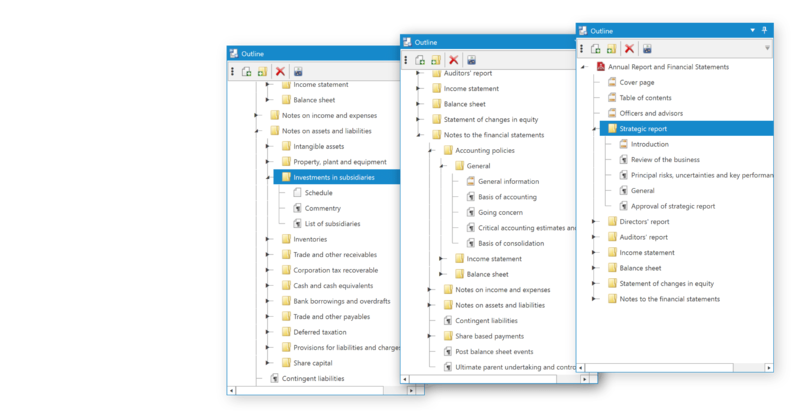 Managing templates and cascading changes to all reporting entities. Principles and practices when XBRL tagging. Training is interactive and will utilise your own reports and data sources. At the end of the training you would have made significant progress in Report Authority’s implementation.